In this week’s digital news roundup we’re covering Twitter’s recent password woes, Google Drive’s new look, updates to Instagram for business users, and the epic-sounding new Google Assistant. With data security being a hot topic for 2018, Twitter is the next big brand to fall into bad luck. This week, the platform announced that a bug had meant a ‘substantial’ number of login details were stored on internal computer systems as readable text – rather than being properly encrypted. As a result, the site’s 330 million users are now being asked to change their passwords, in what ‘industry experts’ are calling a bold move. Twitter chief executive, Jack Dorsey, announced that there was “no indication of a breach or misuse by anyone”, and that the recommendation to change passwords was purely precautionary. As we get closer and closer to the GDPR deadline, it will become even more important for businesses to ensure that their data protection policies are up to scratch. The Drum has the full story. A couple of weeks ago, we reported on Google’s new update to Gmail, which partnered a whole new look with a bunch of updated features. Now it looks like Gmail isn’t the only platform getting a revamp from the search giant, with an update being rolled out to change the face of Google Drive. Functionality wise, there won’t be changes to the way that users engage with the site. The updates will come in the form of visual redesigns, including some amends to where buttons and icons sit and changes to the colour palettes. The background will now be white, instead of grey, and new fonts are coming to the headers. We’re also a big fan of the updated ‘New’ button – super clean. 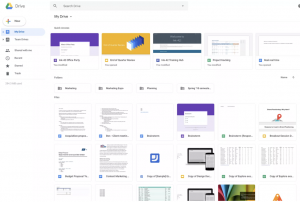 “We built this new interface to create a responsive and efficient experience for Drive users, and to feel cohesive with other G Suite products,” the company wrote in a blog post. According to Google, the new redesign will be available to all G Suite editions, so keep an eye out over the next few days and see if it appears. See the full details on The Verge. 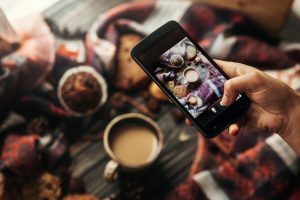 If you’re a business making the most of Instagram then you could be in luck – new features are coming to help make conducting business even easier on the social platform. According to The Drum, Instagram has now launched “a call-to-action native payment button for select business partners in a bid to boost functionality”. This will mean that buttons like “Book”, “Get Tickets” or “Start Order” now show on profiles, meaning users can complete actions and make purchases without ever leaving the page. The new features are spurred on by a massive uplift in the success of Instagram business profiles, with 200m users visiting Instagram business profiles each day. Of these businesses, approximately half lack a website of their own – meaning their Instagram profile is their portal to engaging with online consumers. I have a question. Has the Google Assistant actually ever assisted anyone? For me, the answer is no. And industry experts have long argued that this is due to a number of missing features that make the software, well, less than helpful. At this week’s I/O 2018, Google looked set to change this with the announcement of Google Duplex. Duplex is a technology the company has been working on for years, which will mean the Assistant can actually understand real conversation – and respond accordingly. This would mean that it can make phone calls on your behalf; whether that’s rescheduling a hairdresser appointment or trying to get a slot at the doctor’s when your child is unwell. According to recordings played at the conference, the voice sounds so realistic, and responds in such a natural way, that the human on the other end of the line had no idea it was talking to a bot. As a result, Google says it wants to be clear about where and when Duplex is being used to avoid any questions or concerns. Find out more about Duplex, and how it could work, over on the Google AI blog. Following a barrage of bad luck in the form of the Cambridge Analytica scandal, many would have predicted that Facebook’s user numbers have taken a beating. Apparently, ‘many’ would be wrong. 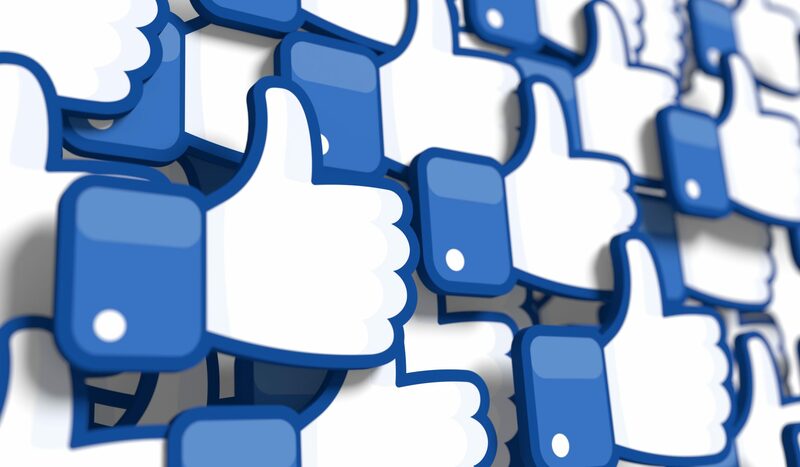 According to a poll of around 2,000 social media users at the end of April, around 74% said they still use Facebook at least once a day. 23% of respondents said that they now use the platform less than they used to, with 18% saying “I use it less” and 4% saying “I stopped using it, but I still have an account”. The survey then went on to discuss privacy concerns specifically, with 22% of those surveyed saying “no” or “don’t know” when asked if they knew how to change their privacy settings on the platform. 44% said that they had in fact updated their settings recently, which indicates that although recent scandal hasn’t affected overall user numbers, it has perhaps made people think about how they engage on the site. 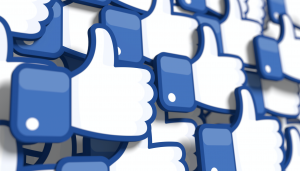 Have you changed how you use Facebook? Or have you stopped using it altogether? Let us know over on Twitter. 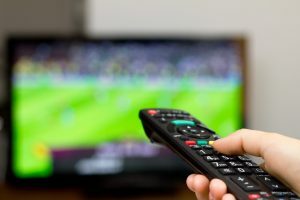 We’ve previously talked about the popularity of streaming services, and how at Giant Towers a large portion of the crew pay for TV streaming services every month. Now, it looks like TV mega-forces like BBC, Channel 4 and ITV are starting to take note of this popularity, and are supposedly in talks about creating a British streaming service to rival those currently on the market. According to ratings, Netflix has 8.2m subscribers in the UK and 4.3m British households are signed up to Amazon Prime Video – which represents a massive market prioritising on-demand viewing over traditional TV channels. At the moment the talks are very much in the early stages, and history has shown that the three Brit rivals may struggle to get on the same page. Project Kangaroo, back in 2007, was set to be a joint video-on-demand venture between the three channels – but this failed in a mass of red tape and regulation nightmares. Will history repeat itself? Only time will tell. Find out more on the details over at The Guardian. Is it beer ‘o’ clock yet? Happy Friday everyone. Enjoy the weekend!